A world-class diagramming platform that lets you display, communicate, and present dynamically. Powerful enough to draw everything from basic flowcharts to complex engineering schematics. Live Object technology dynamically displays linked data. Compatible with MS Visio 2013 (.vsdx) files, making it the premiercross-platform diagramming solution. Now your entire organization can migrate from MS Visio Professional or any other software business graphics tool to ConceptDraw PRO for one low price. ConceptDraw PRO is available as an economical site license, and can be used by any employee in your company. There is no limitation on the number of users or computers. ConceptDraw PRO works on both Microsoft Windows and Apple OS X to provide maximum flexibility in deployment. Every co-worker in your organization will get access to our powerful and proven business diagramming tool for an annual fee of $4,995. You can outfit your company with a ConceptDraw PRO site license for an extremely low total cost of ownership (TCO). On top of a low TCO, you will also benefit from the ConceptDraw administration interface and world class no-charge support. There are many more reasons why you should consider a ConceptDraw PRO Site License, contact our sales team today to find additional detail. Create drawings and other illustrations using ConceptDraw PRO drawing tools, library objects, and sample documents. Then export your drawing to a variety of the most popular graphics formats, allowing you to exchange documents with other users and print on almost any standard paper size. 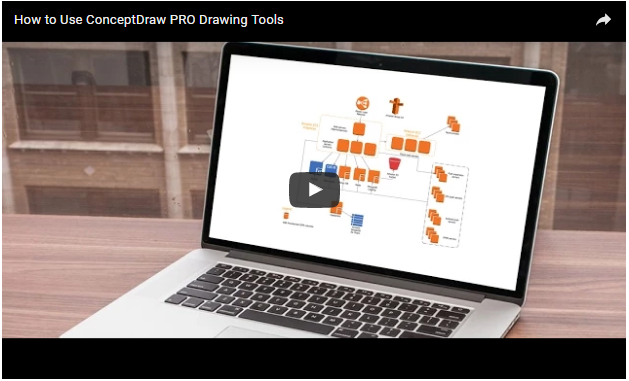 Effortlessly create flow charts, schematics, and other diagrams with ConceptDraw PRO. Smart connectors change form as you rearrange your diagrams, enabling them to flow naturally around objects. The Clone Tool allows you to quickly add multiples instances of objects. Hyperlinks let you connect your document to external documents, folder, web pages, email addresses, and more. 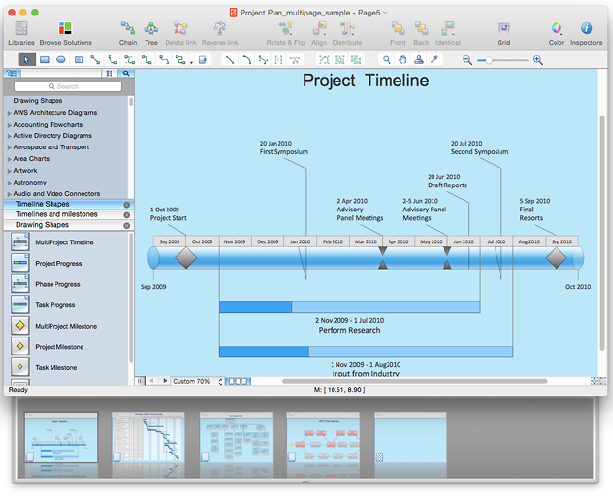 Rapid Draw allows you to efficiently create professional flowcharts, block diagrams, org charts, and other diagrams. ConceptDraw PRO templates and their associated libraries enable you to quickly get started making the drawing or diagram in the style you want. Library objects can be customized and saved for later use. You can customize the scaling, color, line weight, label, and even the fill pattern of an object to use in later drawings and diagrams. 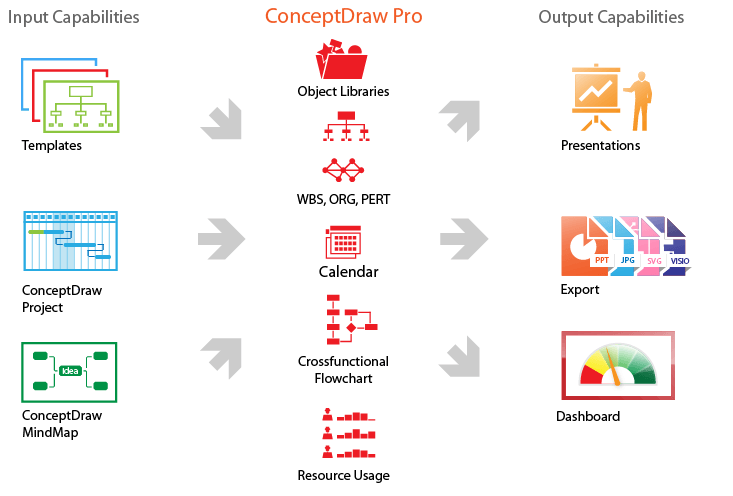 ConceptDraw PRO exports to most popular graphic formats, including Microsoft® Visio® 2013 (.vsdx) and PowerPoint® (.ppt), Adobe® PDF and SWF, as well as .svg, .jpg, .png, and more. Create and format dynamic presentations, then collaborate with your audience to incorporate feedback on the fly. Use hyperlinks to quickly navigate to a different part of the presentation, an external website, or even open a separate document. Dynamic presentations use Live Objects technology to display external data in your presentation. Changes to external data are automatically reflected in the Live Objects in your presentations. For a truly dynamic, flexible presentation, you can set up your presentation to display on a secondary monitor, leaving your main monitor free for making edits and changes as and when necessary. ConceptDraw PRO provides many professional business solutions based on technologies for integrating external data. ConceptDraw Solution Park offers business-specific solutions that take ConceptDraw PRO beyond its core capabilities. Find solutions that are custom-tailored to your business or activity and discover the value of extensibility! Solution Browser is your window to exploring ConceptDraw Solution Park. Search by solution type or specific ConceptDraw application to find the solutions that are best suited for your specific needs. With the introduction of Live Object technology, you can now create documents and presentations that automatically reflect external data sources. ConceptDraw PRO supports scripting languages and third-party tools to modify and program the visual behavior of live objects. With INGYRE3, your data easily integrates with the other ConceptDraw Office 3 applications. Create Project Dashboards withup-to-the-minute project statuses, create on-the-fly presentations of your brainstorming sessions, automatically generate a work breakdown structure for your project, and much more. ConceptDraw PRO lets you visualize ideas and data as diagrams, communicate through presentations and varied export options, and meet business-specific needs via the modular extensibility available in ConceptDraw Solution Park.Multiple built-in presentation modes, easily customized printing options, and powerful export capabilities, allow you to communicate effectively with any audience.